The little blue and white house in Mō‘ili‘ili, where Project Dana started an interfaith volunteer caregivers program has never closed! 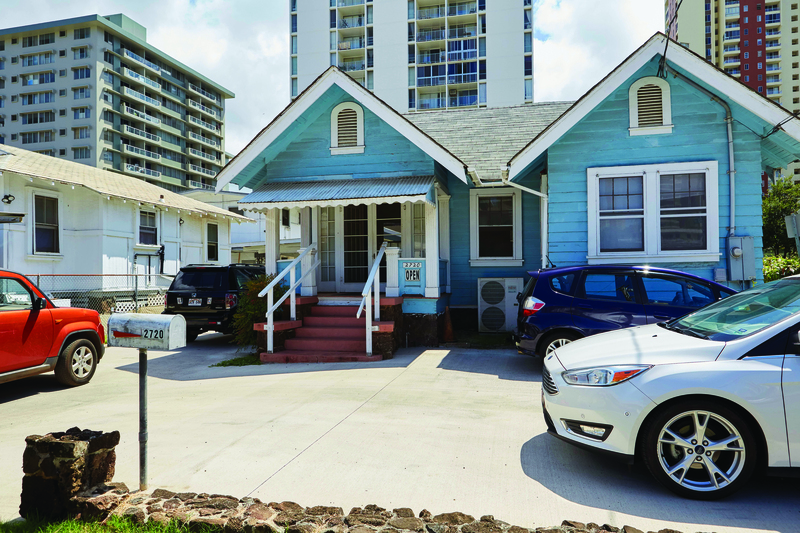 This headquarters was once the home of the late Kuniyo Nakamoto, who was helped by Mō‘ili‘ili Hongwanji Mission and Project Dana. 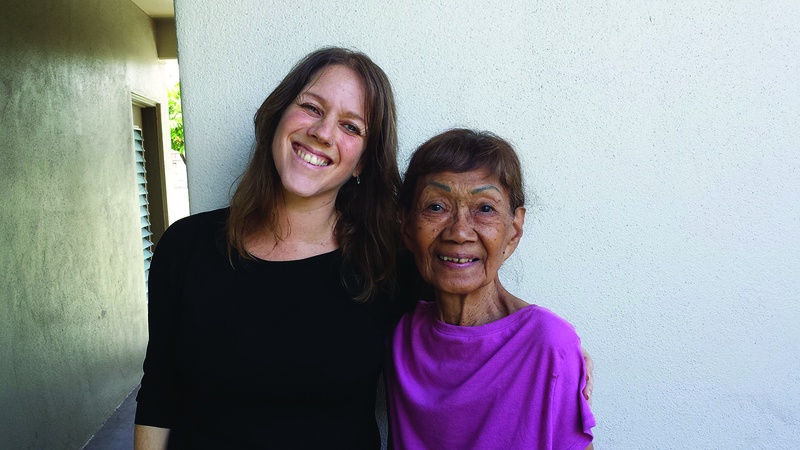 She was so grateful for the compassion extended that she willed her home to Mō‘ili‘ili Hongwanji Mission. Volunteer painters, carpenters and electricians helped turn this home into offices, from which this Faith in Action project today serves over 1,200 older adults and seniors. If you have never volunteered, donated or received the services of Project Dana, it’s time you get acquainted. 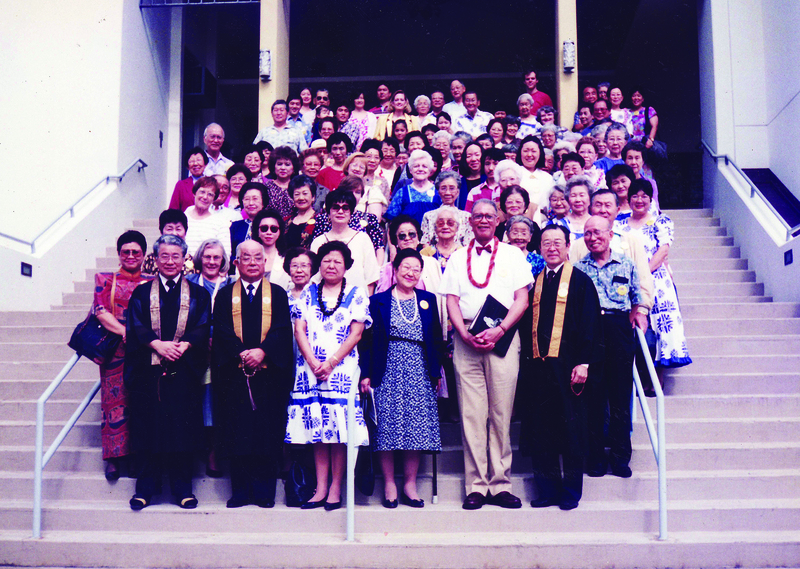 In 1989, members of Mō‘ili‘ili Hongwanji Mission began supporting Shimeji Kanazawa and Rose Nakamura in a small Faith in Action ministry to elderly people in their neighborhood. Now Project Dana partners with 32 missions and churches across Hawai‘i, selflessly giving their time to help the elderly. Dana is not someone’s name, but a Sanskrit word that means, “selfless giving, an act of compassion.” Buddhists practice dana and teach this prized virtue to their children. Compassionate volunteers of all religions come to Project Dana with a desire to help seniors in need. Soon they discover that their small investment of time provides much more — the healing balm of social, emotional and spiritual support. Besides Mō‘ili‘ili Hongwanji Mission, other churches in the area joined in: Church of the Crossroads Caring Ministry and St. Mark’s Episcopal Church Aloha Ministry. A total of 32 churches and organizations partner with Project Dana and represent a wide variety of different faiths. 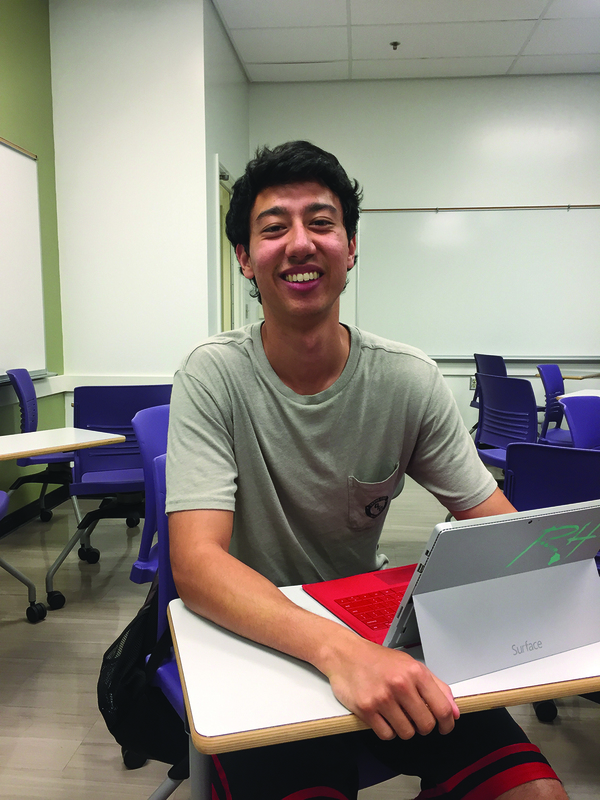 Kainoa Akiona is studying dietetics and nutrition at the University of Hawai‘i at Mānoa and one of the requirements of his scholarship is to volunteer in the community. Project Dana asks volunteers to give just one or two hours a week; it sounded easy. Kainoa had a vehicle, so Project Dana matched him with an 82-year-old senior who needed transportation to do her food shopping. Kainoa said he has grandparents, so he is used to talking with older people, and works in the food industry where he has to relate to all age groups. He said making conversation with seniors is fun and they like to tease him. He is considering continuing his studies and becoming a clinical dietitian or a physician’s assistant. His Project Dana experience has given him a better understanding of his special gift for helping others. Melanie Van der Tuin-Oka, a professor at HCC, enjoys spending time with her new friend, Virginia. Melanie Van der Tuin-Oka teaches full-time at Leeward Community College and volunteers one hour a week. because her new friend has a lot to share and she is very curious about Melanie’s life, too. “I never really had a grandma, so now I am getting the stories, insights and wisdoms I missed — it is a very sweet relationship,” Melanie said. “As a volunteer, I can always bring cheerful, positive energy and I feel appreciated because when I am visiting, the daughter gets a break. If I discern a need, my Project Dana coordinator can help find resources to take care of it. I just have to pass on the need request. We are fortunate to have many resources for elders in Hawai‘i. Project Dana provides social support to elderly, disabled persons and family caregivers that ensures their well-being and enables them to enjoy continued independence with dignity in the environment of their choice. Among them are home visits, telephone visits, respite care, light housekeeping, minor home repairs and transportation for medical appointments, shopping, care home visits and religious services. They also provide “Caring for the Caregiver” support group for family caregivers and home safety assessments. Client Jane Kiuchi is 86 years old and lives independently. She is very grateful for the careful inspection, recommendations and improvements to her home — all initiated by Project Dana. “I recommend that seniors have their homes inspected — before they fall!” Jane said. I did it after my fall, but now all the obstacles in my home are gone and I won’t fall again. Jackie Toma tells GM writer Katherine (left) the details of her very positive caregiver support group experience with Project Dana. Two years after her father passed, Jackie Toma’s mom began going downhill. Jackie had lived in Seattle for 37 years and had herself suffered a stroke but was still working part-time. She returned to Hawai‘i to help her brother care for their mother. Even though they had paid home care, Jackie called on Project Dana. “The first meeting is educational and you learn a lot!” Jackie said. “Education is provided by experts in physical therapy, assistive devices, Medicare, family mediation, legal issues, Hospice care, to name a few. The second meeting of the month is a combination ‘Rap Session’ and potluck. We all share experiences and learn from one another. It’s tough to deal with frustration and to problem-solve every time your parent’s condition deteriorates. When I was fresh out of ideas, my group came up with answers. After 28 years of organizing, coordinating and service, co-founder Rose Nakamura passes on the office of Executive Director to Cyndi Osajima at the end of October. The dana they practice inspires all their staff and volunteers. Dana. In August, Rose announced her retirement and Operations Manager Cyndi Osajima is stepping up to executive director starting October 1. The organization will be in friendly capable hands, ready to serve and share compassion. This fall is a happy time for Rose, who sees the fruits of her labor in waves of compassion flowing out from the little blue house on Nako‘oko‘o Street and the tides of gratitude returning to encourage her volunteers. After spending the last 20 years as family caregivers, we sometimes look at each other and say, “How did we survive?” It wasn’t always easy; there were plenty of good times and lots of laughter to ease the complexities of taking care of Dad and Mom. Through both of our caregiving journeys, Project Dana provided us with “scholarships” for much needed respite. A little time off meant that someone else realized how difficult caregiving could be, not just physically but emotionally as well. We used our scholarships to help provide additional days for both Dad and Mom at the day health programs that they attended. We knew that they would be safe and we didn’t need to worry about them. It is never too early to plan for your own needs or to reach out to others in need. 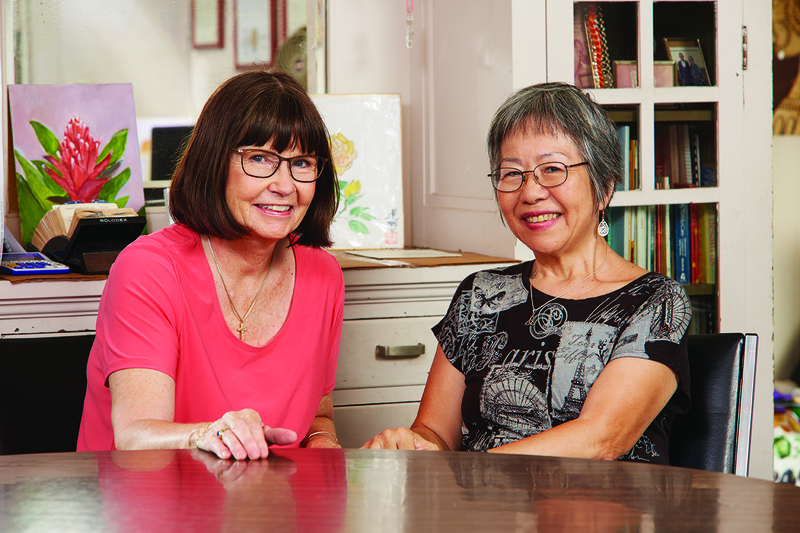 Project Dana volunteers are working throughout Hawai‘i, on the mainland and in Japan to help the frail elderly, persons with disability and family caregivers. Familiarize yourself with their services and share this resource with family, neighbors and friends. Project Dana’s Caregiver Support Group (CGSG) program is unique in its concept because it is the only support group that provides three consecutive meetings every month during the course of one year. Attendees receive help in the form of education, rap sessions and a fun outing to help alleviate the stress that may come with continuous caregiving responsibilities for someone who is 60 or more years of age. Meetings are held on the second, third and fourth Wednesdays of each month from 9 am–1pm unless otherwise specified at the Honpa Hongwanji Betsuin (1727 Pali Highway) in the Social Hall located downstairs of the main temple structure. Parking is available in the front and back of the main temple. All participants are requested to arrive on time. The second support component is called the Rap Session. Here, participants are given the opportunity to “talk story.” Joy and frustrations, as well as issues and concerns are often expressed in reference to the daily experiences of caring for a loved one. With this sharing, caregivers explore potential solutions among themselves and from their experience. Participants are asked to bring a dish to share in a potluck luncheon. Finally, planned outings are offered to provide the caregivers “free time” to engage in total relaxation — breathing and nurturing the mind, spirit and body with healthy socialization. Discovering new places, and reacquainting oneself with sources outside the realms of everyday caregiving feed the soul. Some outings may require a small fee for participants. If there are any shared costs, participants will be notified in advance with the notice of date, time and theme. 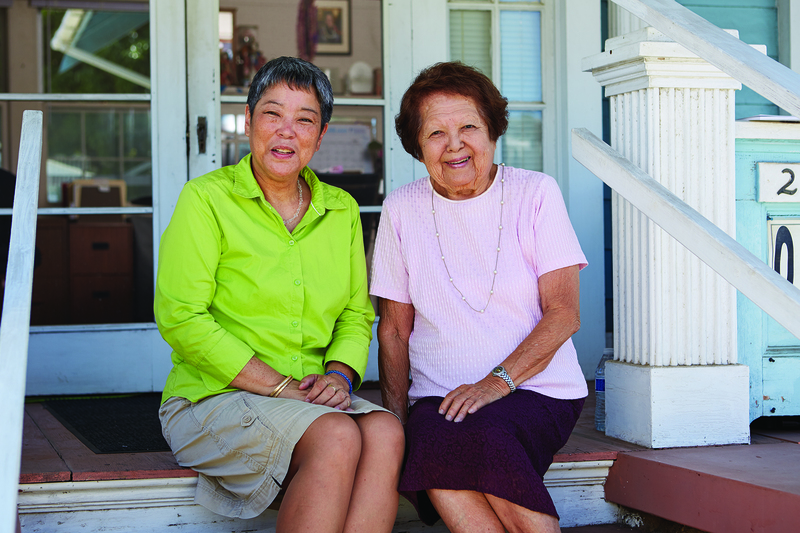 Project Dana relies on a grant through the Older Americans Act of 1965, Title III E Funds, administered by the Hawaii State Executive Office on Aging through the Elderly Affairs Division, City and County of Honolulu. Monetary donations and other contributions are greatly appreciated to supplement the Caregiver Support Group and maintain the quality of the program. 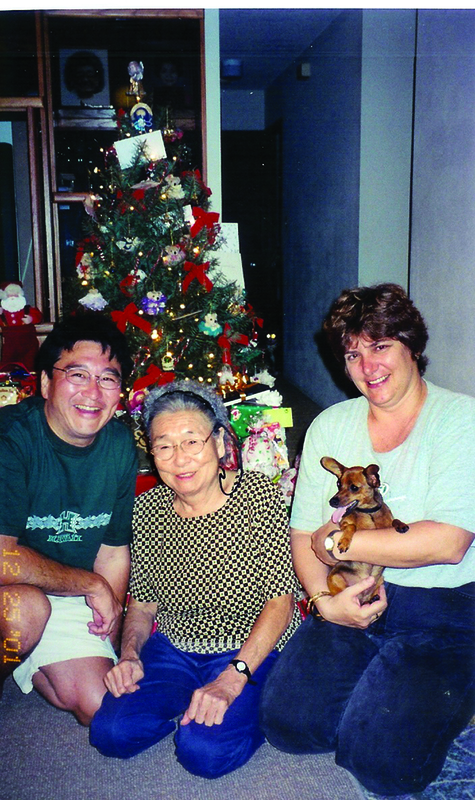 In 2008, CGSG program received the Outstanding Support Group award by the Hawaii Family Caregivers Coalition and the once-aired KHON2 Elderhood Project. Don’t become one of these statistics! 51 percent of deaths among elders are caused by falls occurring in the home. 61 percent of the elders who fall are women. People who are 85 years or older are 10 times more likely to fall than those who are between the ages of 65–69. Falls inside the home commonly occur in the bathroom, bedroom and kitchen areas. One out of three people 65 years and older will fall each year; most are women living alone. 90 percent of all hip fractures that occur each year are due to falls. Only 25 percent of hip fracture patients will fully recover; 40 percent will require nursing home care; 50 percent will need a cane or walker; and 24 percent over age 50 will not survive more than 12 months after they fall. 60 percent of all falls occur at home. To increase awareness of home safety. To create a safe home environment. To allow participants to continue living independently at home. To help ensure quality of life for our seniors. of our older adults and their families. Possible suggestions for home modifications might include: nightlights, grab bars, non-slip mats, non-skid strips, shower seat, portable tub rail, commode, raised toilet seat, replace light bulbs, phone or power cord arrangement, etc. Project Dana continues to announce a special fund for seniors 65 years and older. Grants are available through the Gwenfread Elaine Allen Fund and administered by the Hawaii Community Foundation. This PIN Grant supports Hawai‘i’s frail elderly to “age in place” at home, in their community and with their family caregivers. The PIN grant at Project Dana is in its fifth year. Assistance is provided through services already offered in three specific areas: transportation, respite and decluttering. Applications will be accepted through October. Transportation assistance is available to frail elders for medical appointments, shopping requests and legal services such as banking, federal, state, city and county offices. Your safety and well-being are of concern regarding transportation needs. Funds for taxi fares may be offered for special medical appointments. Assistance is available to family caregivers whose elders attend adult day care/day health centers or who pay for respite care from a home health agency that goes beyond the two hours provided by a Project Dana volunteer. A one-time-only stipend, up to $600 per family caregiver, may be considered. A new component is assistance for family caregivers for overnight respite. Family members may apply for a one-time-only stipend, up to $150 per family. Project Dana’s volunteers provide free assessments for home safety and fall prevention. They also help seniors declutter and schedule appointments with professional organizers. Project Dana would not be possible without support from a corps of trained volunteers guided by the principle of dana, a Sanskrit word that means selfless giving and compassion without desire for recognition or reward. Project Dana recruits and trains volunteers across the state to assist the frail and elderly with their various needs. Volunteers are sensitive to diverse cultures and traditions and will receive initial and continuing training and education from the project coordinators and specialists. All Project Dana partner organizations and congregations are managed by trained volunteer coordinators. For details on any of the program services, a free Home Safety Assessment (ask for Mike Hirano), or if you are interested in volunteering and being a part of Project Dana’s mission of service to the elderly, frail and people with disability, call 808-945-3736 or email projdana@hawaiiantel.net. Mom is 100 years, s/p stroke. Alert, ambulates, may need about 3-4 hours. Aloha, My partner and I run a mobility solutions company here in Hawaii. We offer Stairlifts, Platform Lifts, as well as Tub Cuts and bathroom modifications. We would like to work with you or find out how we can advertise, get an article written or otherwise assist some of your partners that offer Senior grants and programs. We look forward to speaking with you.